With his original new single ‘Let Me Go’ rapidly climbing the charts, Sven Sundberg and his unique brand of well-honed electronica is rapidly becoming a musical success story thanks in large part to his impeccable melodic instincts. Like electronica? Many do, perhaps in yearning for a return to great musicianship and melody. Here is an artist that ably serves the sentiment. Originating from Palmyra, Illinois, Sven Sundberg has quickly risen on the strength of his new award-winning single ‘Let Me Go’. Recently, the critics had this to say about his work: ‘Let Me Go' cyclically blooms into perception; waves and gradients of hypnotic etheric sounds and guitar that mass to an instrumental / electronica classic. '’ With his new single steadily climbing the charts, Sven Sundberg seems destined for the global limelight. Reporter Lauren Thompson recently caught up with the talented artist to learn more about what inspires him to create his unique brand of electronica music and what we can expect from Sven Sundberg in the near future. LAUREN: When did you first get that feeling that your music career was gaining momentum? SVEN SUNDBERG: It was when I released my “Remasters” EPs. After upgrading all my studio equipment, including my instruments, and learning how to mix and master my music to industry quality levels, these two EPs were produced as the best I could do. They were EPs and were inexpensive enough for listeners to take a chance on buying them after hearing a few sample songs. These were my first albums to sell in the hundreds. Then my CD “Crystal Clear” broke out and sold in the thousands! My latest album, “Intimacy: A Collection,” was released October 6, 2015, and is following closely behind its predecessor in sales. LAUREN: Your song ’Let Me Go’ is receiving a positive listener response on radio. What was your initial reaction when you first heard your song playing on radio? SVEN SUNDBERG: I was ecstatic! I had just done a guest spot on a local radio station, WQNA-FM The Edge in Springfield, Illinois, and they played three of my songs during that hour, one of them being 'Let Me Go.' I was very proud of my music when listening to the playback online. The quality was perfect! LAUREN: What was the inspiration behind your debut radio single? SVEN SUNDBERG: It’s about allowing someone you care about deeply to live and learn the hard way, trusting that they are able to learn by example and grow from their experiences. LAUREN: It is often said that great art arises from difficult experience. Is there something in your life experience thus far that you would describe as the ‘catalyst’ or ‘fuel’ for your desire to create music? SVEN SUNDBERG: I’ve always wanted to create music, ever since being a piano student of John Steinway of Steinway Pianos when I was quite young, and I always had plans to do so, but I became busy with life and career and it fell by the wayside until I was diagnosed with cancer in my 30s. That changed my priorities fast! I vowed to myself that I would do something with my music if I could survive cancer, my career be damned. 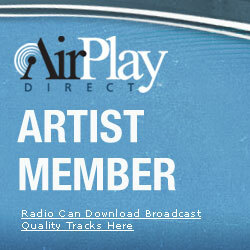 SVEN SUNDBERG: My music is very accessible to the listener by design. I believe that Simplicity is the Hallmark of a Great Melody. It’s all about the melody and how to gently persuade the listener to seek it from me through their heart and soul. Flashy and overdone is not the way to a listener’s heart! I strive for a direct connection to the listener. LAUREN: What has your experience been like working with the other people on your team? SVEN SUNDBERG: I come from a large family and they are very supportive of me and my music aspirations. They and a few close friends have helped me promote my music extensively. And now I have an inner circle of listeners through Patreon and through my VIP membership who have proven that they will do anything to help my music career, including sending my CDs to radio stations and venues in their communities and hosting listening parties. They believe in me, and I am forever indebted to them! LAUREN: Did you come from a musical background? Are there other musicians in your family? SVEN SUNDBERG: My grandfather played piano and accordion brilliantly. Listening to him play was my first and most lasting musical experience. I remember digging through his reel-to-reel collection of recordings to listen to his piano playing when he wasn’t there in person to play. He played songs that were very pleasing to hear and he inspired me to create music in a similar vein. LAUREN: What do you find most rewarding about being an artist? What do you find most challenging? SVEN SUNDBERG: I receive some awesome feedback from listeners! I’ve connected with them through my music, and they are able to verbalize their appreciation of my music in ways I could never imagine. The most challenging thing about being an artist is the business side of music, and finding the time to do so many things on my own. About half of my spare time is involved in some way with the business aspect of being a musician and finding creative ways to market my music. LAUREN: Who are your role models in music? SVEN SUNDBERG: Besides my grandfather and John Steinway, my teacher, I am inspired by many artists who have been through rough times on their own and have come away from those experiences being a better person and artist. Some musicians who come to mind are Cary Brothers, Graham Colton, Matt Nathanson, Joshua Radin, The Alternate Routes, Bill Ricchini, Howie Day, Barcelona, Steve Grand, Eli Lieb, Alpha Rev, Matt Pond and Sacha Sacket, to name a few. LAUREN: Describe your best or most memorable performance. SVEN SUNDBERG: Since I play all the instruments on my recordings, it is very difficult to perform live, so I’ve encouraged the Listening Party model for myself and for anyone who wants to share my music. LAUREN: What advice would you give to young, aspiring artists out there who are unsure and need guidance? SVEN SUNDBERG: If you are interested in writing music, please know that you can do it! Almost anyone can write music. But to be successful, your music must come from a longing deep inside of you that needs to escape. People want to listen to the human element in music, the thing that links and unites your sound with their hearts. Find that sound within yourself and you’ll make those connections! LAUREN: What's next for you as an artist? Is there a new single in the works? If so, what can you tell us about it? SVEN SUNDBERG: I’ve released “Let Me Go” as a single to great reception! It was the fifth single released from my latest album, “Intimacy: A Collection,” which was recently named Best Instrumental Album. Other singles have been “It’s Time 2015” and a remix version of that song, “Gravity” and “You in Blue.” Besides continuing to promote my current album which was released only three months ago, I have just begun writing songs for my next project. It’s a never-ending circle, but one which I have grown to love. LAUREN: Can't wait to hear everything! Thank you for sharing more about your life with me. I wish you continued success in the future. The Song of the Year songwriting contest has awarded Sven Sundberg the Semi-Finalist placement in the song contest. Song of the Year receives entries from all over the world and only the top songwriters receive a Semi-Finalist placement in the songwriting competition. "A steady cadence and calm synth melodies endow ‘If Only’ with a grave, tender gravity." I'm very proud to receive this award! Named Best Instrumental Album of 2015! "Sven Sundberg puts forth a dramatic collection of songs featuring atmospheric instrumental pop gems and piano ballads which are grand in scale, monumental in sound, and Herculean in ambition." 'Let Me Go' cyclically blooms into perception; waves and gradients of hypnotic etheric sounds and guitar that mass to an instrumental / electronica classic. Congratulations on winning the Award for Best Electronica / Instrumental Song for ‘Let Me Go’. Your dedication to music and hard work has paid off and we are committed to making your career aspirations a reality. Upon careful review and internal discussion, our executive team has put together a 12-month customized strategy for releasing your lead single to radio stations, press channels, video channels, DJ networks, live venues, film & television and more. Now for something different and rather exciting; here’s a Springfield musician named Sven Sundberg. Sven, who was born in Queens and just moved back to town from a stint in Seattle, plans to release Intimacy: A Collection, his 11th self-produced CD on Oct. 6 through several online music websites, including Bandcamp and Rhapsody. Sven got his start in music in a peculiar way when, as a child living in Phoenix, his first piano lessons came from John Steinway of Steinway Pianos. He was in his forties when he returned to music and began writings songs from a lifetime of collected ideas and notes. One thing led to another, and now Sven enjoys hits in the Philippines, has songs used on ESPN, in indie-films and television, all while continuing to write and produce material from his bedroom-based studio. Check it out, man. Just like a good stretch can help loosen and rejuvenate a body, Sven Sundberg’s music can relax and soothe the soul. His serene tunes can aptly bring calm and inspiration to a myriad of settings whether the listener is still in pajamas to office attire to formal wear. 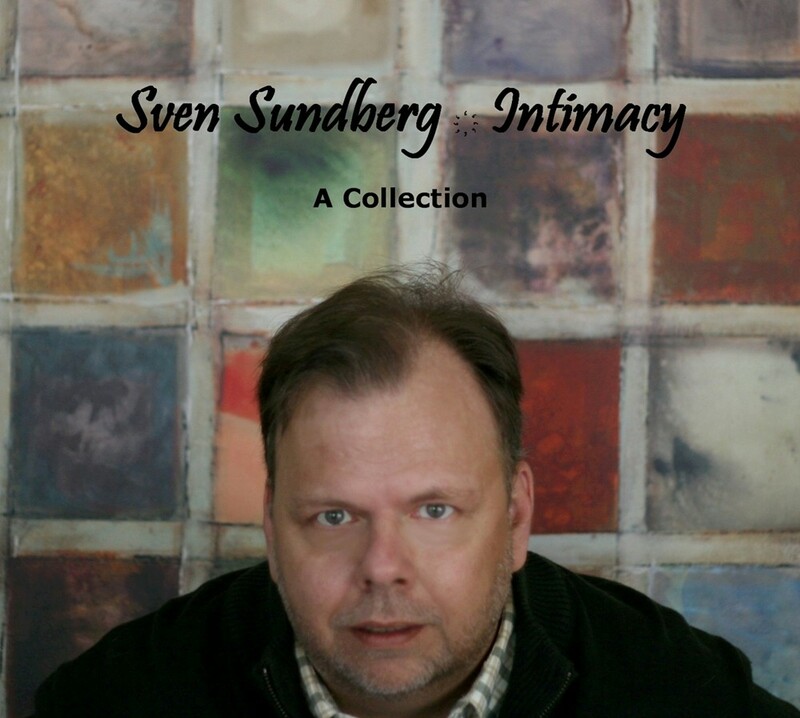 Sundberg’s album Intimacy is a tranquil collection of instrumental pieces led by piano and laced with various keyboard effects that are incredibly tasteful, adding additional color to his music. The opening number, “In Your Love” has a similar introduction to The Carpenter’s “Close To You” with its sweet, slow simplistic melody. Unlike many of his peers who flaunt the synthesized strings to an overbearing effect, Sundberg keeps the accompaniment chilling in the background so that his lovely artistic piano tune stays to the fore. “Carriage Ride” boasts a bright chime lead with percussion and snaps taking the listener on a non-hurried lackadaisical constitutional. The formula Sundberg uses in his compositions of creating peaceful moods works so well, that at times, his pieces lack variability. If one zoned out momentarily they might think that “Seasons Change” is a continuation of the previous track with the main differences being a slightly slower tempo, more echo and a quasi-harpsichord lead. Nevertheless it is a charming song and could have been on the cutting room floor for Mark Knopfler’s soundtrack to The Princess Bride. Another conundrum of this genre of music is not to overdo a good vibe. “Gravity” is an uplifting happy song imbuing a sense of hope and progress, but by the midpoint of the number, this melody loses its momentum due to stasis. However, this issue does not plague the upbeat sunny song “It’s Time 2015” which offers a delighted sense of resolve. While the overall balance and mix of Intimacy is well done, the first half of “Wings” sounds off with the sustained piano and synthesized echo mushing together. Thankfully this issue is resolved by the second half of the piece. Sundberg does present a superfluous amount of syrupy keyboard sounds in “If Only”. The slightly despondent tone is practically devoid in the magical jewel-encrusted synthesized tones, like a sparkling teardrop from a My Little Pony. The solo piano in the coda though brings clarity. These starlit tones are also abundant in “Crystal Clear” while the more celestial patches chosen for “Another Heaven” add a positive wholesomeness to the piece. The namesake of the album is perfectly captured in the romantic ballad “You in Blue” which would be ideal for a candlelit dinner complete with red roses on the table. “Dinner for Two” captures the same sensuous ardor in a more refined, almost regal fashion. Intimacy has the special and unique ability to unassumingly offer the listener the serenity they didn’t even know they were seeking. “Sweet on You” with Sundberg’s signature piano lead is earthy and accessible washing away the daily troubles and doldrums of the world. Intimacy is not the most innovative or creative album ever produced, but it does need to claim to be. It is a therapeutic balm with its tranquil aura and soul soothing integrity. Seasons Change is a track that is able to tie together world music, classical, and R&B into something emotive and rich. This track is able to be tender and strong, telling more of a story with instrumentation than artists can do with lyrics and a full band. Sundberg is able to add further depth to this composition by utilizing vocals in a musical fashion; the interaction between these different elements makes for a deep track that will stand up to repeat listens. You in Blue begins with a nice rising action and ethereal arrangements. The deliberate arrangements present here provide further variety to Intimacy while keeping the same close feel as previous compositions on Intimacy. The cogent story that is told through this release makes for an album that sticks with listeners long after the album’s final track Song for Monica. Spring Has Sprung is a late-album track that is one of our favorites. While continuing the same trends that have been threaded through the whole of Intimacy, there is a more eastern style that is present. Sweet on You and Song for Monica, the duo of tracks that conclude Intimacy provide an impressive ending to a solid album. Sweet on You is a chill track that keeps things fresh and airy at its late-album position while the Song for Monica shines due to sparkling synth lines. With everything prim, proper, and in its place, Intimacy concludes. There has been a considerable evolution in Sundberg’s style in the years that passed since the release of 4 Seasons of Bliss. Additional information about Sundberg’s biography, music, and the availability of samples and albums can be located on his domain and social networking profiles. Pick up Intimacy when it is released on October 6th, 2015. Crystal Clear is the culmination of a year full of exploring and finding the right melody for each new song. Fully mastered and produced, this is the first truly professional work released by Sven Sundberg. The new CD is more Contemporary Pop than previous releases, and it has something for everyone, from the electronic "Valley of Voe" to the upbeat "Light You Up" to the subtle acoustic guitar work on "Let Me Go". If you would like to introduce yourself to Sven Sundberg's work, Crystal Clear is a great place to start! What is one supposed to expect when an album is categorized as ‘instrumental pop?’ Perhaps movie soundtracks, or the theme songs for hit TV shows like “Taxi” or “Friday Night Lights,” and though Sven Sundberg’s newest album, Crystal Clear could easily be applied to the screen, which I’ll elaborate on later, it’ll more likely win a Grammy than an Emmy. Sundberg’s background is in organ, piano, and saxophone, eventually adding a Yamaha Tyros4 keyboard to the mix, all of which might account for some of the experimental, electronic, yet empty-church-like relaxation of his music. He describes his melodies as simple, intending to rejuvenate and soothe the soul, whether musically upbeat or dark. I would also add that the album does, in fact, sink in to the listener like the soundtrack of a movie sinks into its characters and plot, defining how the world is experienced for as long as the music lasts—in this case, sleepy, hazy—at times elevator music, at times lovely, even inspiring. Though the compositions have some surprise twists, the overall tone of the music as a whole seems just as Sundberg wanted it—peaceful, nothing flashy, nothing complex. The instruments seem to be electronically produced: guitar, snare drum percussion, synthesizer percussion, organ, wind chimes, flutes, electronic keyboard, and piano. The instruments compliment each other in every track, the percussion provides a steady background rhythm as the piano, flute, and guitar trade the melody back and forth; the percussion also often marks the trade off with an escalated tempo and riff into a cymbol clash. Just for electronic interest’s sake, the Grammy for best instrumental pop album is often presented to producers, engineers, and/or mixers included on the album, as well as the album artist, because the technicalities of this genre are just as, if not more important than the instruments, or even the melodies. This is definitely true of Crystal Clear; the mixing and overlap of these electronically produced instruments is essential to its flowing effect. But Sundberg’s music isn’t just named instrumental pop because of its engineering and design—it’s instrumental pop because the music itself designs the listener’s feelings. On this album, Sundberg works just as much with collecting sounds to create an atmosphere as with melody: “Light You Up” starts out with immediate percussion and a strong, optimistic melody played by piano, then comes the synth, which only adds to the cluster of brightness, and whether you like electronic music or not, will more than likely lift your heart. The appropriately titled, “Seasons Change,” continues the sound collections, but with a lower temperature, like we just moved into the shade. The percussion wafts in, then the strong, single note piano again, followed by a single synth note that sounds like a raindrop, all but percussion eventually disappearing into the electronic guitar which takes over the melody before giving it back to piano and, soon, organ and thick mass of synthesizer. These two tunes, if necessary, could represent the basic colors of the album—songs of warm sun, songs of the chilly forest. So, in the bright, inspirational jog “Fantasia (In Your Love),” there’s almost an ABA structure, a heavier emphasis on guitar in what might be deemed the chorus, perhaps even more intense feelings of the aforementioned love; drums open the darker, piano dominated “Clarity of Vision,” resurfacing when piano briefly passes the melody to guitar, and again when guitar passes it back and a hissing sound appears, as if letting the old air out of something (perhaps the ‘Fantasia’), and strings follow as if breathing in the new (perhaps reality); these light progressive rock elements, whether warm or cool, give way to overpowering, dreamy synthesizer effects in the title track, “Crystal Clear,” and the temperature goes placid, comfortable, and therefore unremarkable, leveling the playing ground right smack in the middle of the album. Sundberg hikes his own landscape in Crystal Clear, particularly in the second half—he seems to climb to the top of each grassy hill before trying see what’s next. But when he does see what’s next from the top of that hill, he sees it clearly and goes forward, bearing memories of the past, but not dwelling there. For example, the syncopation, percussive effects, and more distinct melody of “This Time It’s Real” are all fresh and unexpected, but the nature of the percussion, new synthesizer effects, and more distinct melody being the fresh and unexpected things, is a throwback to track 6, “The Valley of Voe,” thus the whole ‘embracing the future while still cradling the past’ thing. While occasionally Sundberg’s music does sound like the electronically synthesized instrumental soundtrack to an 80s movie, or the music inside an 80s elevator, it’s mostly an emotional shape shifter, sliding its way into the listener’s body and day, helping everything, even the buildings of the city, the bricks themselves, shed a little tension. This push and pull between bright and dark, between the addition of new sounds and the repetition of old themes, make the music simultaneously hopeful and nostalgic, but not confused. Crystal Clear is meant to be restful, and it is, indeed, its own place through which the instrumentals saunter and jaunt, or away from which everything they suddenly depart in an unexpected burst of desire, maybe following a stray organ chord, maybe on the bare back of a wild, new percussion beat. Either way, for the most part, instrumental pop does its engineering job in the case of Sundberg’s newest album, but the composer himself goes for an award bigger than the Grammy: the design of an endless, rather beautiful mood field, where the listener can go with the simple press of a play button. 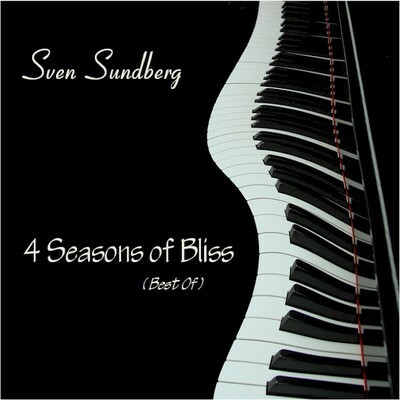 Sven Sundberg begins his 4 Seasons of Bliss with In Your Love. This track is a perfect introduction for those that have not had the chance to introduce themselves to Sundberg’s music. The piano is able to come forth with emotive authority, and provides listeners with a narrative that is richer than many efforts out there. With this introduction, Sundberg is able to collect fans from far and wide. Spring Has Sprung has a very rich feel to it as Sundberg gives his listeners a spot-on approximation of the aforementioned season. It’s Time has a more electronic, retrospective feel to it. Hints of eighties music can be heard even as the track confidently hits listeners’ ears. The palette available to Sundberg allows for each of these sixteen tracks to provide an additional facet to the artist. This greatest hits breaks free of the ruts that this form of collection fall into there is a strong and compelling effort ready for listeners at whatever point on the CD that they are listening. You in Blue is a smart addition to 4 Seasons of Bliss as Sundberg slows things down. I believe that this track is a success as it showcases the interplay between the arrangements in a more clear fashion that had been present on the disc. With nary a weak track to be found, I feel that this album is a must buy. It provides listeners ample opportunity to familiarize themselves with Sundberg’s music, as well as works perfectly for meditation, house cleaning, or even driving around. 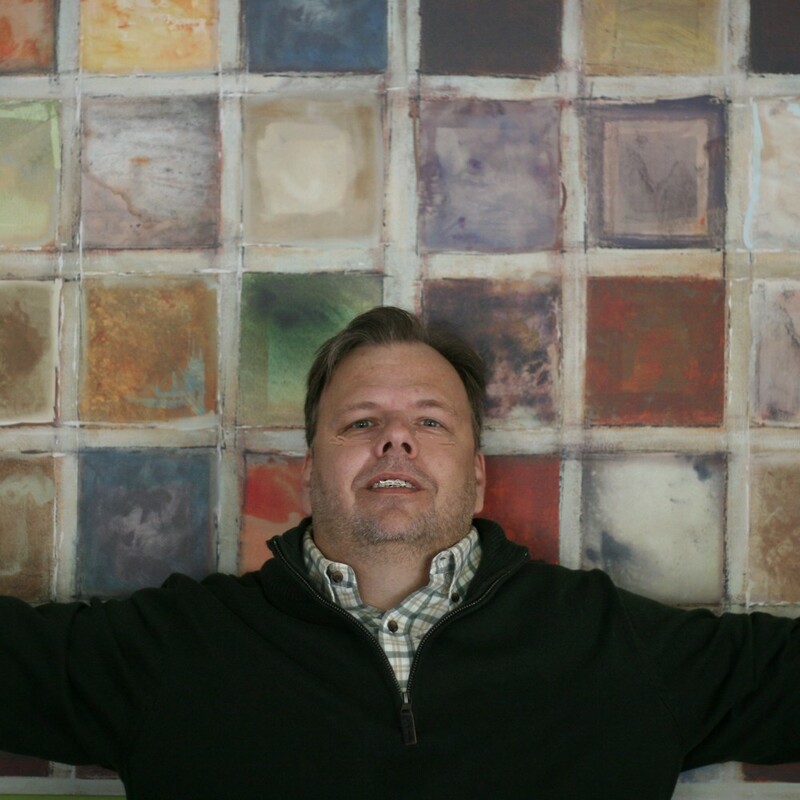 Check out our review with Sundberg and see exactly what he is up to by visiting his website. Sven Sundberg is a musician, arranger, composer, songwriter, and a contemporary instrumentalist well-versed and accomplished on the keyboard and piano. The keyboard and piano are not the only instruments used on his latest release, Sunrise. Light guitar sounds, keyboards, and percussion accompanies all of the tracks. “Pleasant Dreams” opens with bell-like embellishments with a light percussive beat and an upbeat piano tune. The melody is filled in with sparkling washes of ambient brilliance. The percussion seems programmed by a keyboard, which produces a type of MIDI sound. Nevertheless, the instrumental song is a bright spot with a moving melody and a variety of different tonal choices that keep it all exciting. “Morning Rain” opens with a few pensive piano notes and shaker-like percussion with a handful of guitar strums. The instruments are joined by atmospheric washes and instrumental interplay between the guitar and piano reflect an almost call-and-response set-up without vocalizations. The punchy piano sounds imitate rain-drops, but rain or water-like additions are not present. “Carriage Ride” is a rather spritely piano, keyboard, and percussion song without vocalizations. Though, the song is similar in tone to the first song, which contains a sweet and ambulating tune with a rather limited tonal range. Nevertheless, the song imitates a leisurely jaunt or stroll in the park, where a carriage ride would seem very fitting. Keep in mind, there are no horses on this song. “Holding Hands” dives right into a crystalline, keyboard melody with light percussion and ambient washes in the background. The percussion is familiar, as it is used almost the same way on every song. “Dream Awake” opens with a few piano notes and light percussion sounds with sparkling tones of aural beauty throughout. The piano melody, keyboard accompaniment, and percussion do not change too much and the result is only slightly above average compared to the other songs on the album. “Tradewinds” begins similarly with the other songs on the album, but the familiar terrain is quickly replaced by a bit of keyboard tremolo, ambient washes, and sparkling piano notes. The clear tonalities resemble bells on a small scale. The percussion is played about the same speed as the other songs, but that is not necessarily a downside here, as the mix of tremolo and piano provides enough entertainment for a lengthy listen. “Endless Summer” opens with a more upbeat piano melody than other songs, but the combination of percussion and a happy atmosphere makes the song shimmer. In fact, the song is a perfect accompaniment for a wedding celebration, birthday party, or leisurely day in the home library. Sven Sundberg’s third release, Sunrise, has many bright spots. For example, the piano, keyboard, and percussion sounds seemed to work well together. However, some of the songs tend to fall in a rut of similitude to a point. The lack of additional instrumentation or vocals may have sidetracked the musical flow without enough variety to attain different sounds. As a wholly instrumental album, Sunrise delivers a product of fourteen carefully constructed and composed songs that seem fitted for commercials, films, celebrations, and other events. The largely electronic, albeit MIDI-controlled result, is far from annoying. In fact, the tracks are rather cohesive, eventful, and contain a mix of sounds that provide some satisfaction. Still, the peaks of musical sunshine are less than spectacular overall, which is fitting for an album that is titled Sunset. At any rate, Sven does a fair job showcasing his piano and keyboard talents, which are of interest to fans of MIDI music and contemporary instrumental or new age. Musical artist, Sven Sundberg, releases a wonderful set of ambient instrumental piano songs on his latest CD, "Barefoot." Sundberg has created an album that will soothe your soul and whisk you away to a calm and comforting serenity. The song, "Hopefully," flows with a warm and inviting tonality and is also layered with sweet sounding strings. Another song, "In Your Love," sparkles with a tender melody while soft drums keep a steady beat. This song is also featured as a piano solo and really highlights Sundberg's talents as an emotive pianist. "Spring Has Sprung," is a song that offers a dreamy soundscape and will put you into a state of peaceful tranquility. You will really enjoy the relaxing collection of easy listening piano instrumentals on the excellent album, "Barefoot." Simple instrumental music with a catch: It relaxes you, soothes and rejuvenates your soul. The album flows well, at times upbeat and inspirational, and at other times somber and calming. This is ambient instrumental music with heart and soul. "It's Time" was wonderful. I listened to it as I prepared supper and while we ate. You might have missed your calling as an accountant and should be in the music making business! Before long you will have another CD to market ... I can't wait.